If your practice is like most groups, your days of operating in a silo are rapidly dwindling or they’re already gone. Today, you’re asked to provide integrated care with a number of other specialties that rely on advanced imaging. Some might be in your same facility; others could be scattered elsewhere. Whatever the case, it’s increasingly vital that you have a system that lets you seamlessly connect to and communicate with the other practices or departments also serving your patients. Not only does it accelerate and streamline your workflow, but it also improves the level of patient care you provide. PaxeraHealth’s Universal Viewer is uniquely designed to help you meet those goals. As a zero-footprint, intuitive tool that easily links with your existing electronic medical record (EMR) or electronic health record (EHR), it breaks down the walls between your facility’s departments. Through this advanced image sharing, you and other caregivers can access both DICOM and non-DICOM image formats for many specialties, including cardiology, pathology, dentistry, and orthodontics. With its ultra-fast streaming engine, the Universal Viewer offers a patient history timeline that gives you a single view to the patient’s entire imaging record. Having access to both current and prior images — and being able to see them on any device or in any browser — significantly improves your report turnaround time. Consequently, you can provide more comprehensive, timely patient care. In addition, PaxeraHealth’s integration tool, PaxeraBroker, easily navigates between PACS-RIS and PACS-EMR environments. This HL7-DICOM server uses an HL7 messaging protocol and merges your PACS with other hospital information systems (HIS) or EMRs. As a standalone transparent server or one that can be installed alongside a PACS, PaxeraBroker can merge, as a broker-enabled or broker-less solution, with any other PaxeraHealth product. Quick communication between you, your referring physicians, and your other partners is critical for your practice’s success, and PaxeraBroker makes it easy. The system transfers any reservations and orders directly to your imaging department and moves your billing and inventory reports to the EMR/HIS for EHR archiving. Redundancy and duplication are among your biggest challenges — they can routinely rob you of reimbursement. By managing basic DICOM modality work lists and MPPS transactions, PaxeraBroker both saves you time and reduces your redundancy. As a result, you can accelerate your work speed and bolster your bottom line. Together, Universal Viewer and PaxeraBroker offer you a two-pronged approach to managing your work list and workflow as fluidly as possible. 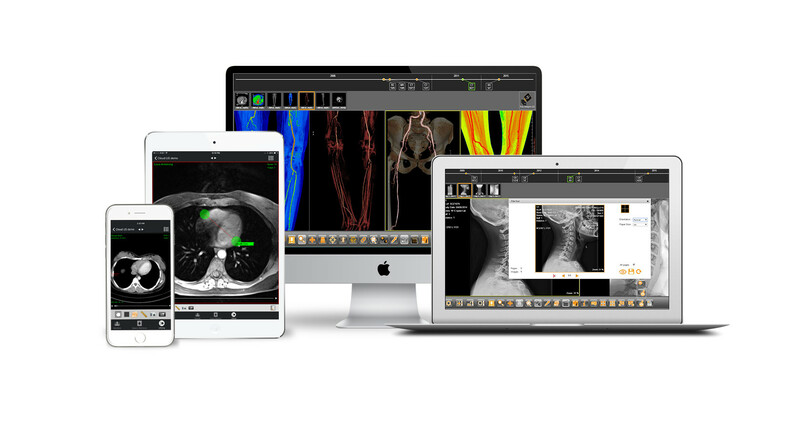 Having streamlined communication and access to images with flexible diagnostic tools ensures you’ll be able to provide the highest level of patient care available.